Right before heading to Stone Temple Pilots rockstar Scott Weiland's memorial, Sugar Ray frontman and former "Extra" host Mark McGrath stopped in to the "Allegedly" podcast to discuss the tragedy of Weiland's death, revealing personal insight behind Weiland's "romance with addiction" and hanging with him only weeks before. McGrath also looks back on his own lowest moments, infidelities, and battles, while dishing all about Courtney Love, Dave Navarro and the real tragedy of Coldplay playing the Superbowl. 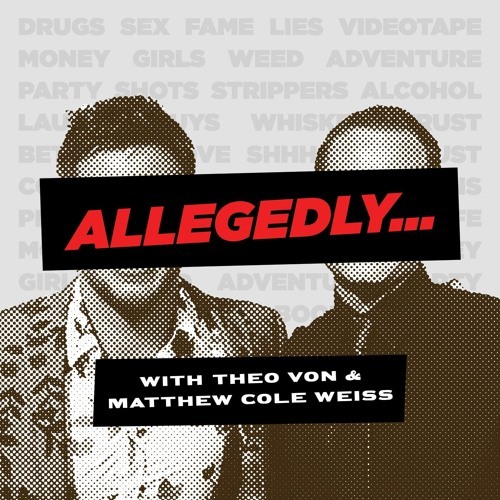 Meanwhile, Theo and Matt battle it out with crazy stories of Elton John and the Beaver himself, Jerry Mathers.